Imagine having the very best names in the wedding industry gathered under one roof – all there to make planning your wedding a breeze? 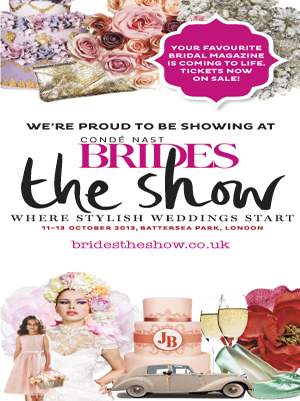 Brides – The Show is just that and we at Nicki Macfarlane are very excited and proud to be a part of it. Not only will you have a chance to ‘touch and feel’ the quality and craftmanship of our complete ready-to-wear collections of flower girl, bridesmaid and pageboy outfits, as well as our hairbands, tiaras and accessories, you will be able to watch the über-glamorous catwalk show, for which Nicki has specially designed some truly stunning dresses. With exciting workshops, the Iconic Wedding Dress Exhibition and Catwalk Shows, this will be a wonderful day out for anyone planning their wedding.